It’s been a LONG TIME since we’ve posted new photos! Just wanted to let you know we’re still here making tiles! Please email us at oreillytiles@gmail.com to discuss an order. Grandparents make the world a little softer, kinder & warmer. Personalized with first name and birthdate of up to 6 grandkids. 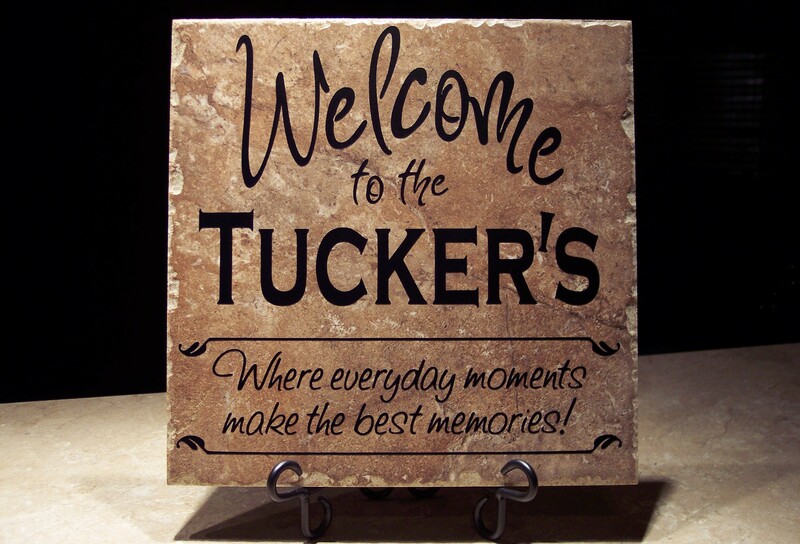 Check out these great personalized tiles for Grandparents! 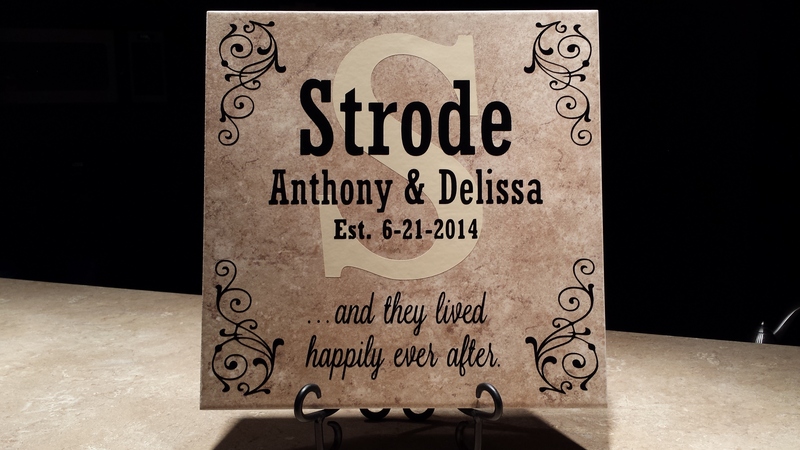 12″ tile with up to 6 first names and birthdates = $30. Black metal stand = $6. 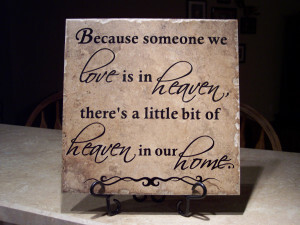 Keep in mind that we may have to rearrange the list of grandchildren’s names or move the quote box in the middle of the tile in order to get your list of grandchildren on the tile. 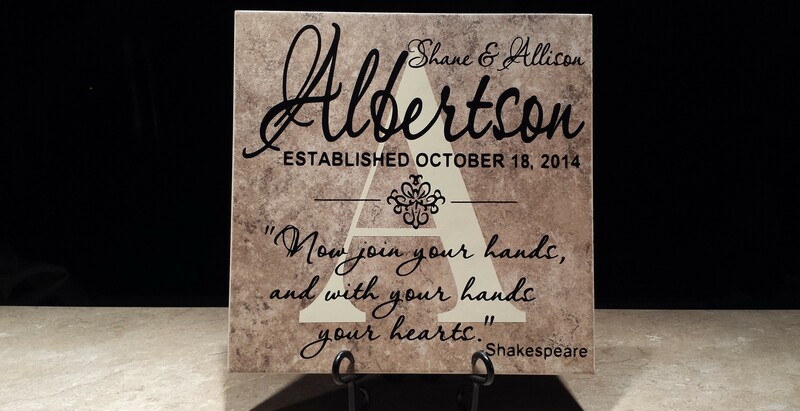 “Albertson Tile” – Another spin-off from our original “Spencer Tile.” This shows you how we can change personalized designs you like to make them fit your personal tastes! 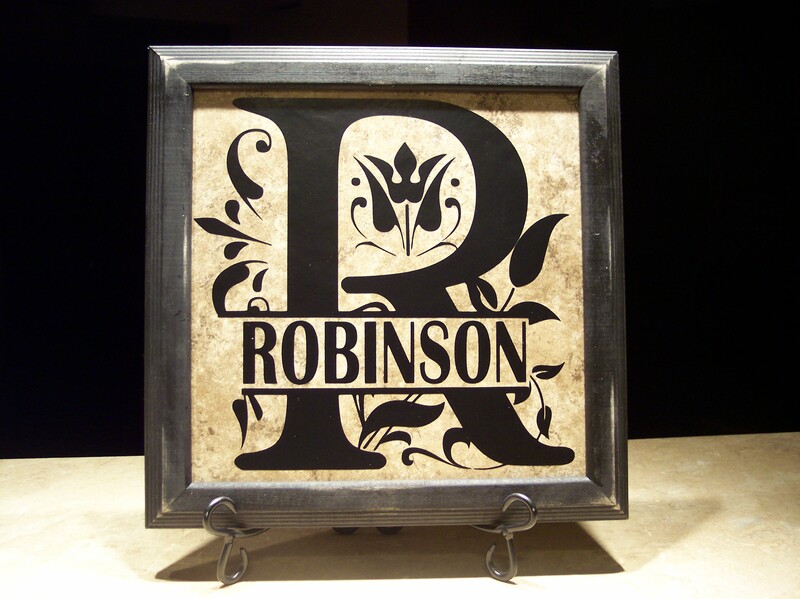 12″ personalized tile with big light beige initial in background = $30. 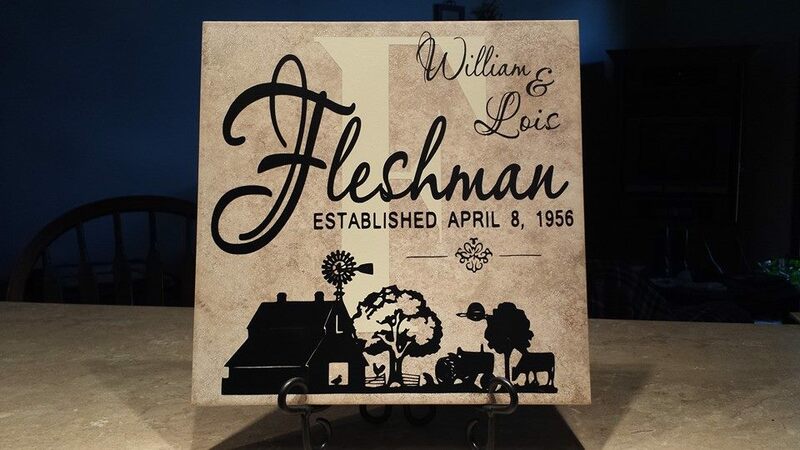 The “Fleshman” tile — a slight spin-off from our recent wedding design which is perfect for farm families! 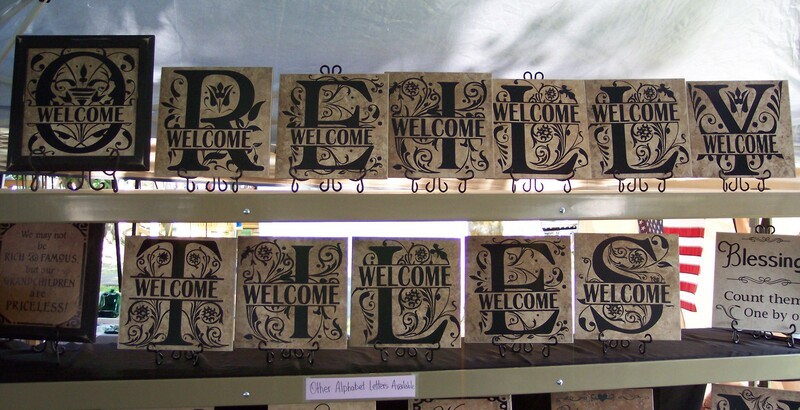 12″ personalized tile with farm scene shown with light beige initial in background = $30. 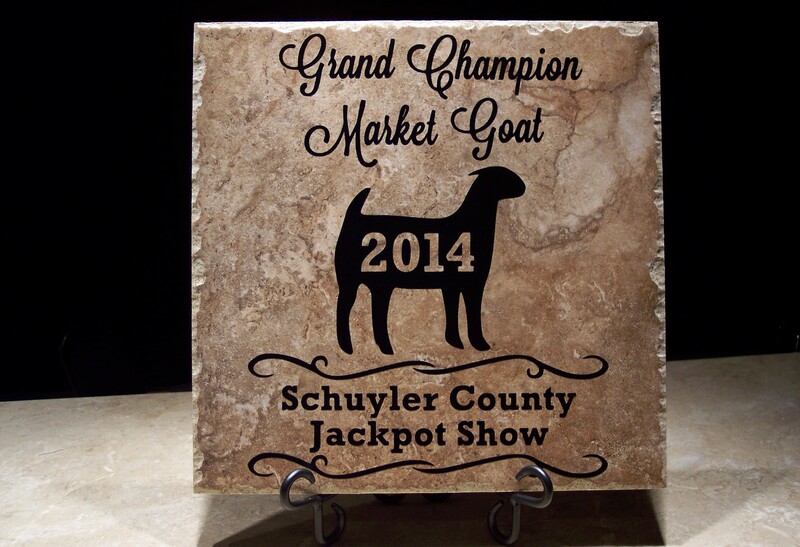 12″ Trophy Tile – $24 – SPECIAL PRICING! Remembering you is easy, I do it every day. Missing you is a heartache that never goes away. 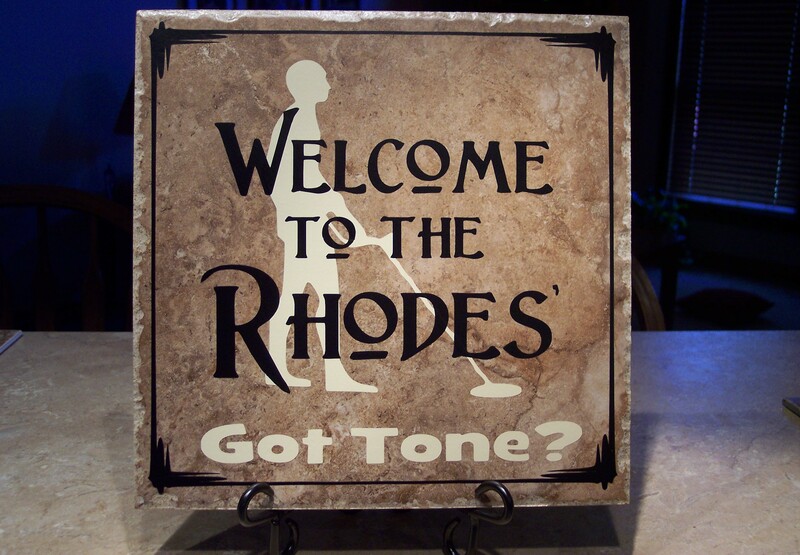 Available with or without the personalized name in the background. NOTE: This tile is also available without any personalized name in the background for $19. Please send an email to oreillytiles@gmail.com to place your order. 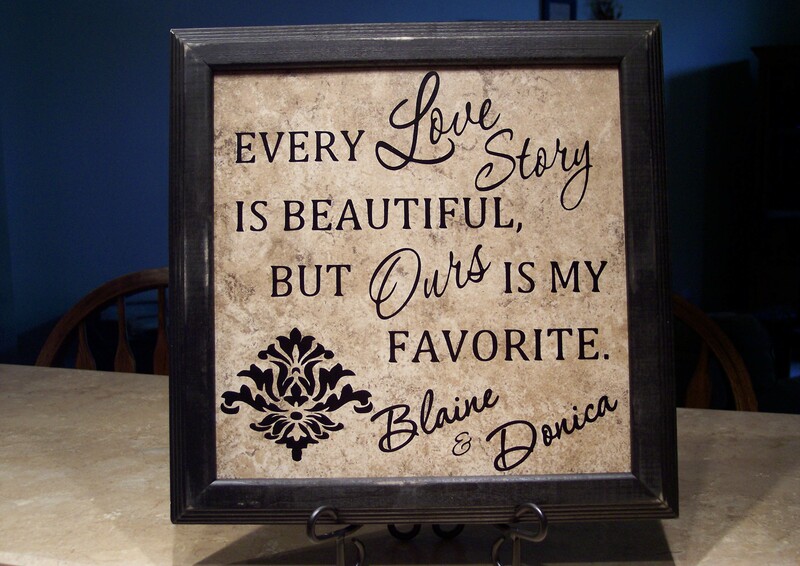 Every Love Story is beautiful, but ours in my favorite. 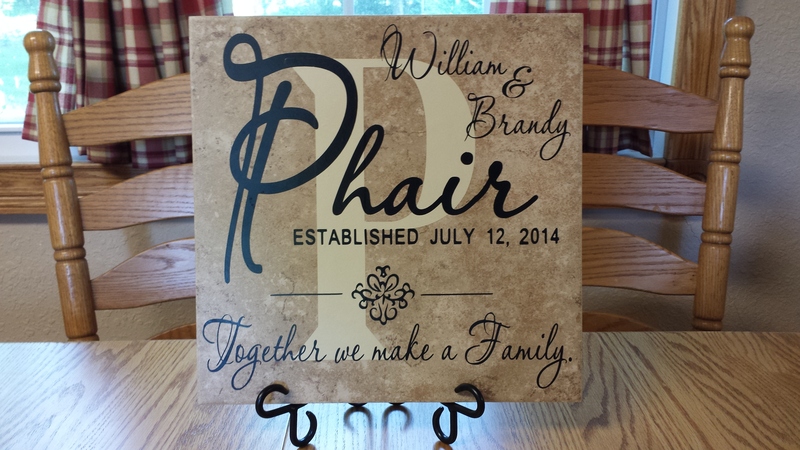 Personalized with bride grooms first names. 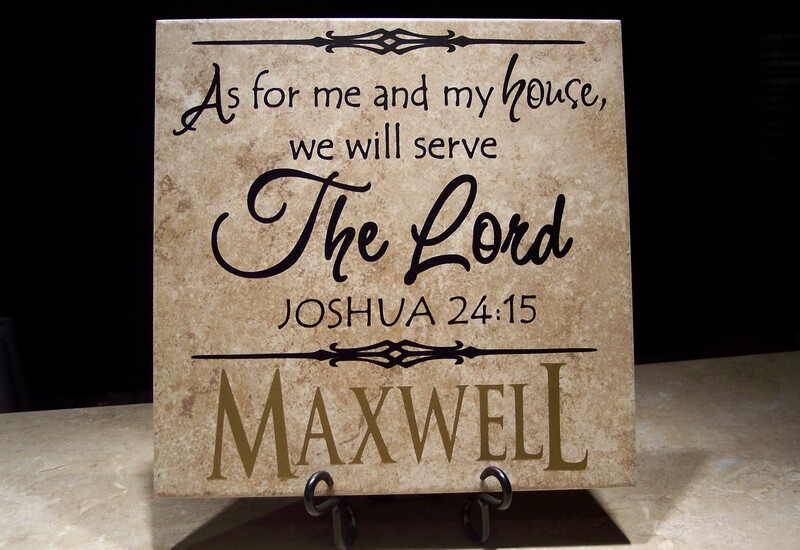 As for me and my house, we will serve The Lord. Joshua 24:15. PERSONALIZED. 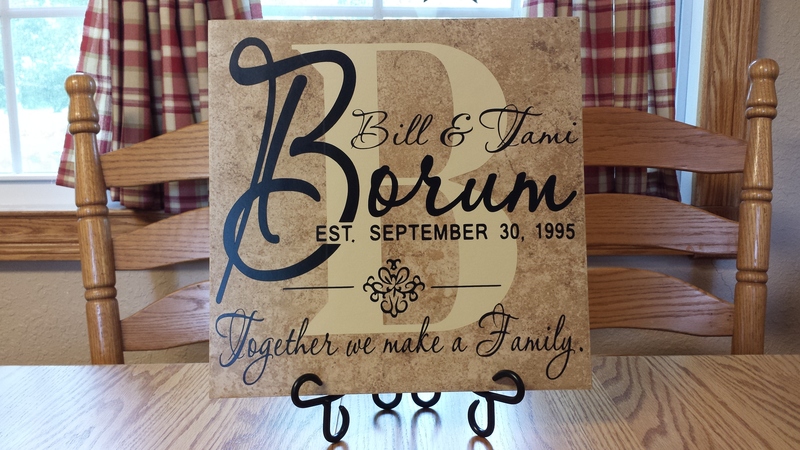 12″ Personalized tile with gold and black vinyl – $28. 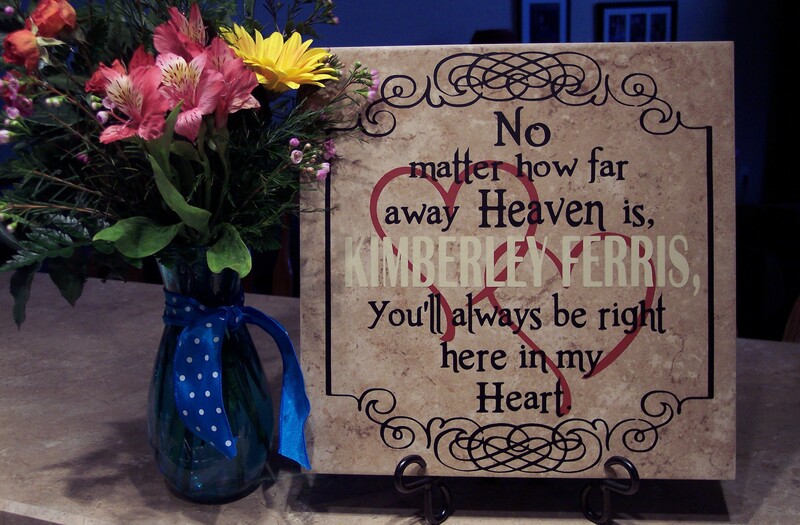 We can also leave off the personalized name and center the design on the tile. The non-personalized version is available for $19. 12 inch tile – $19. 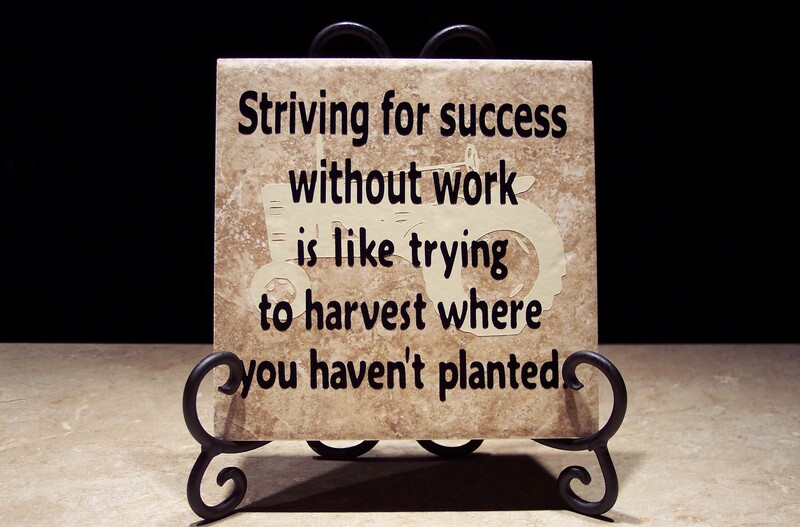 NOTE: BE SURE TO STATE VERSION #1 WHEN PLACING AN ORDER. 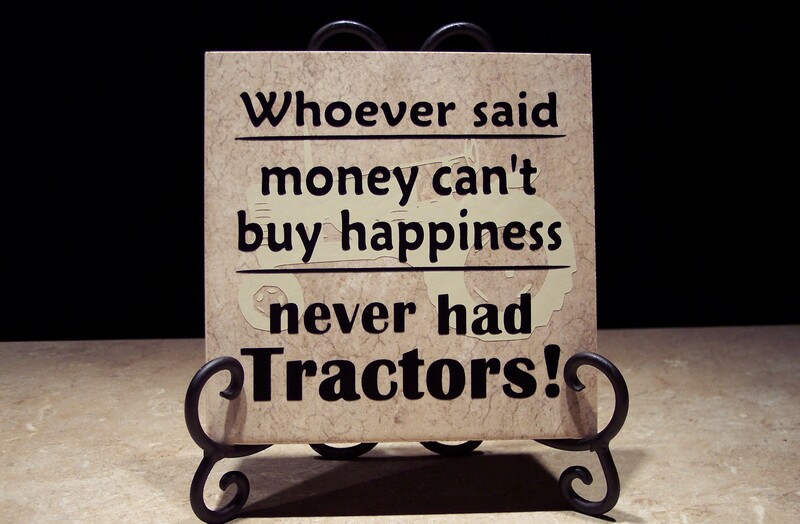 Whoever said money can’t buy happiness, never had Tractors! 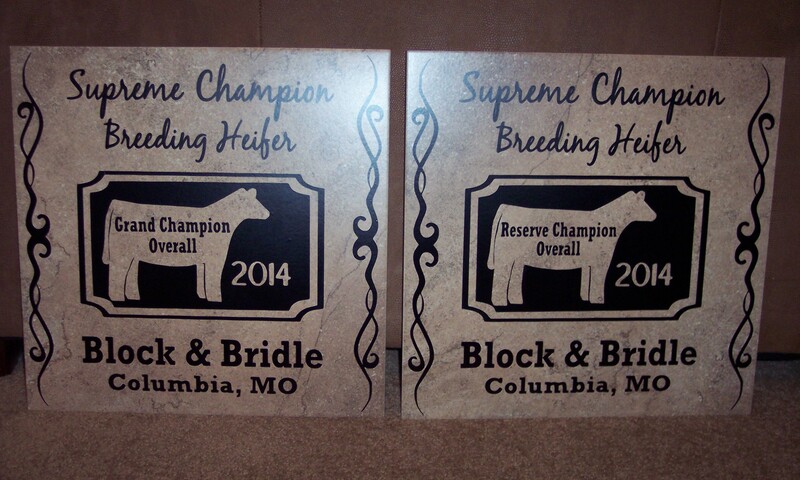 These are BIG 16″ tiles for the 2014 Block & Bridle Show. 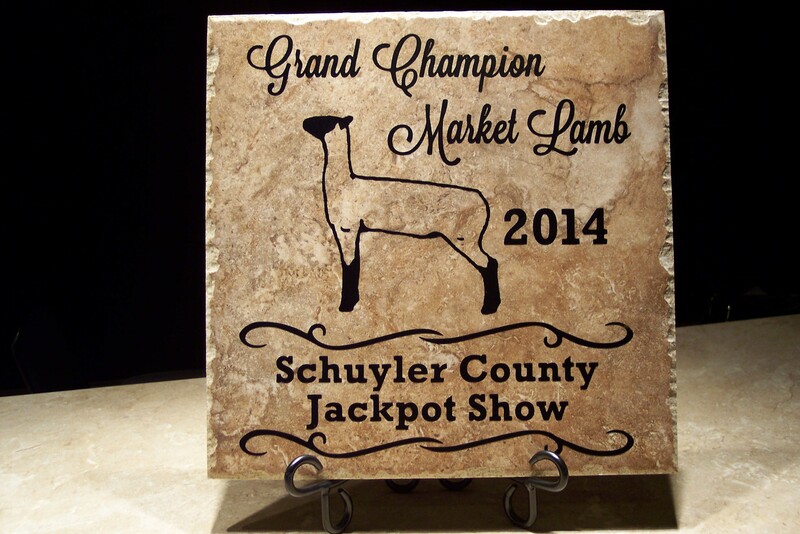 Contact us at oreillytiles@gmail.com to discuss a design for your show! 16″ tiles with black metal stands included – $38. REGULAR SHIPPING RATES DO NOT APPLY. THESE BIG TILES ARE VERY HEAVY. IT IS HIGHLY RECOMMENDED THAT YOU MAKE ARRANGEMENTS TO PICK THE TILES UP IN PERSON. No matter how far away Heaven is, you’ll always be right here in my heart. We know you would be with us today if heaven wasn’t so far away. 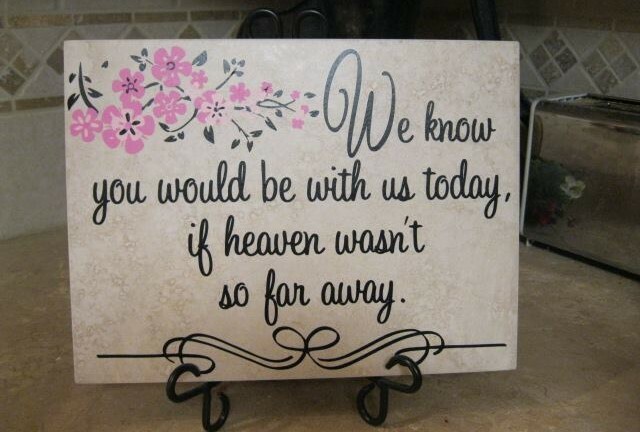 Beautiful pink cherry blossoms on a memorial tile that can be used at funerals or at weddings on a “grandparents table” to commemorate loved ones. 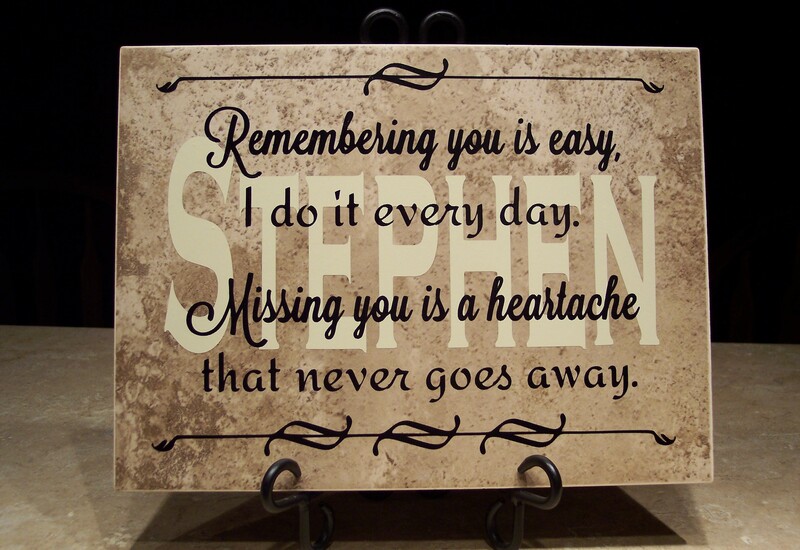 This is also a lovely gift to display in your home in memory of a lost loved one.